Any general dentist will tell you that flossing is an integral step in the process of preserving your teeth and keeping up with your oral health. Whether you are an avid flosser or just a beginner, everyone can benefit from a flossing technique refresher. Mindless flossing does little to better your oral health. Pay attention while you are flossing to make sure you are reaching each space between every tooth. Gently wrap the floss around each tooth for an effective cleaning. For optimal flossing, take about 18 inches of floss, wind the majority of the excess floss around the middle finger and then take two inches of floss from the line to start off. Holding the floss tightly between thumb and index fingers, gently slide the floss into the crevice between your teeth. Gently curve the floss around the base of each tooth, being sure to reach beneath the gum line. Plaque can hide under the gum, so do not skip this step. However, be careful to floss lightly below the gums so as not to irritate this sensitive tissue. Always use a new section of the floss for each tooth. Reusing the same section across multiple areas can transfer food particles and plaque and can actually lead to gingivitis. If the floss gets stuck, use a soft back and forth motion to pull it loose. Flossing the right amount is just as important as using the right flossing method. General dentists recommend flossing every day, or every other day if irritation occurs. At the very least, you should be flossing every two days before brushing at bedtime. Never skip a flossing session. 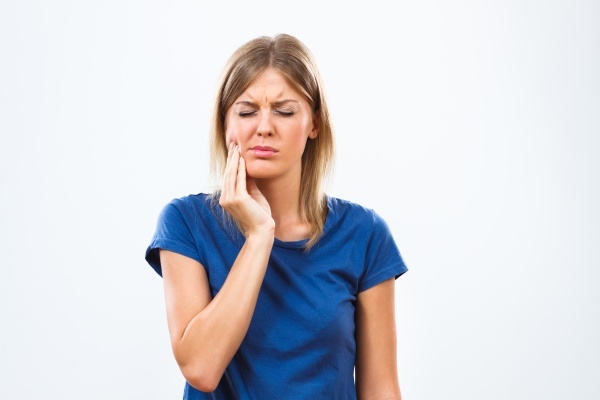 Plaque can build up between the teeth and cause cavities to form. These cavities are hidden and therefore harder for the dentist to reach and repair. Single-use flossers can be a great tool for those who have a mental block about flossing. There are two types of floss: Nylon (multifilament), and PTFE (monofilament). Nylon floss is the cheapest and most common floss on the market, but it tends to fray since it is made up of multiple strands. PTFE floss is more expensive, but it is sturdier. Nylon floss also comes in two different options — waxed or unwaxed. There are multiple flavor options, like mint and berry. In many ways, flossing is just as important as brushing when it comes to oral hygiene. Be sure to brush twice per day in combination with flossing once per day. You will still need to go in for regular dental cleanings from your general dentist, but taking care of your teeth with the right flossing technique can keep your teeth looking and feeling healthy. Your dentist will be able to work with you to come up with a specialized flossing plan that is right for you.